This conference, a joint effort of the GOA Dept of Stewardship, Outreach & Evangelism and the San Francisco Metropolis Commission on Orthodox Missions & Evangelism (C.O.M.E. 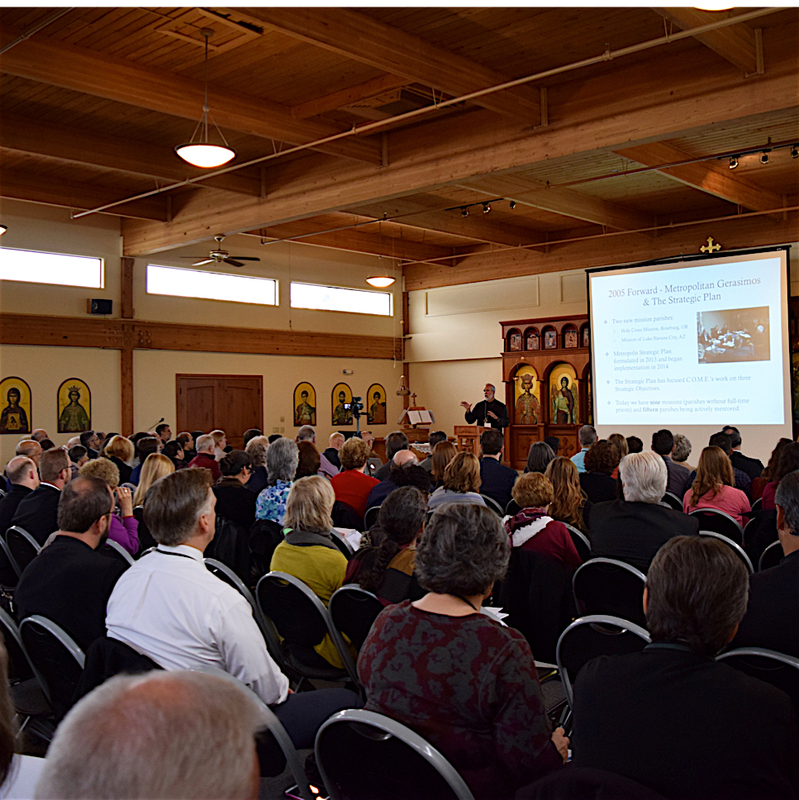 ), was held at St. John the Baptist Greek Orthodox Church in Beaverton, CO. Speakers included Metropolitan Gerasimos, Fr. Luke Veronis, Fr. Theodore Dorrance, Fr. Evan Armatas and Fr. Barnabas Powell. Topics included renewing the established parish’s missionary zeal, overcoming obstacles to parish growth, understanding and utilizing social media in the parish, and evangelism resources for parishes both small and large. Made possible by a generous grant from Leadership 100. Fr. Luke Veronis, Fr. Barnabas Powell, Fr. Evan Armatas, Fr. Theodore Dorrance, and His Grace Bishop Athanasios of Kenya. Fr. Luke Veronis gives the Keynote Presentation. We apologize for the audio quality of this talk. The problem was resolved in subsequent talks. The Bringing Orthodoxy to America Conference began by a welcome and opening remarks from Metropolitan Gerasimos of the Metropolis of San Francisco in the Greek Orthodox Archdiocese of America.